My 20s have featured some big financial hits — and some painful misses. Among the successes: I finished school, got a great job and saved for retirement while paying student loan debt. After turning 29 a few weeks ago, I can honestly say that I feel pretty good about how I’ve managed my personal finances so far. If I lived anywhere outside of Silicon Valley, I’d even be saving up for a house. But a few financial mistakes from the past decade still gnaw at me, even though I’ve resolved them. A few years ago, my wife and I gave up on budgeting because we found it tedious, and later found that we somehow had accrued $10,000 in credit card debt by overspending. Once, I paid interest on a credit card balance because I completely forgot about it. Another time, while studying abroad, I paid foreign transaction fees on all my credit card transactions, just because I didn’t know there were cards that didn’t charge those fees. As I get closer to turning 30, I’ve found that my mistakes have less to do with age, and more to do with experience. I didn’t make these financial blunders, and others, simply because I was a millennial, as some might think. Ultimately, I slipped up because I didn’t know better at the time, or I didn’t have the information I needed to make a better choice. Anyone, at any age, can mess up. But we can learn from our mistakes, too. Here’s what I learned from mine. To this day, I still find it unbelievable that my wife and I managed to dig ourselves into that $10,000 hole in a single year just by overspending on credit cards. At the time, we were carrying balances on our cards, but didn’t realize how quickly our debt was growing. We thought, as so many people do, that we would instinctively know when we were spending too much, and trim spending when necessary. We honestly thought we were scrimping and saving. 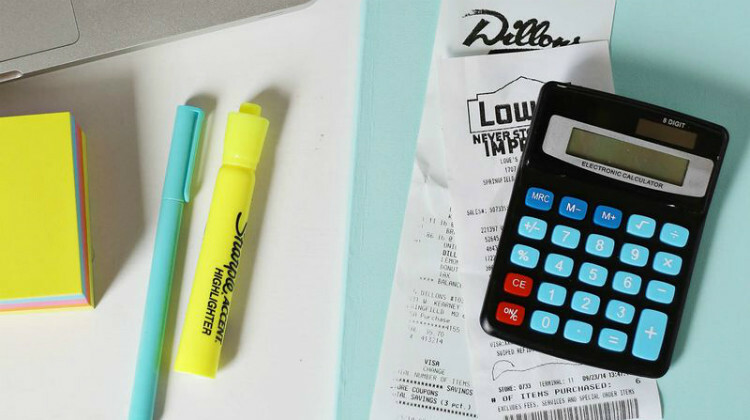 At the end of the year, when we discovered how much debt we had accrued, I realized we needed a better way to manage our expenses. As I’ve written before, earmarking money for every single household expense was too complicated for us. Many seem to feel the same way: About 60% of Americans say they don’t budget, according to a 2015 National Foundation for Credit Counseling survey. But it wasn’t until we gave up on budgeting that we realized the value behind its basic principle: Tracking expenses makes it easier to spend less. So we borrowed that framework and simplified the rules. Instead of setting money aside for a laundry list of expenses, we set weekly spending limits. We stuck to those limits week after week, and paid down our credit card bill in just a couple of years. Almost every credit card comes with an auto-pay option, but that doesn’t mean you should set up automatic payments and ignore your accounts indefinitely. I learned this the hard way. A while back, I mistakenly set up one of my credit card account’s auto-pay preferences to “pay the minimum,” instead of paying in full every billing cycle. I then neglected to check the account for a year, thinking that it had been paid off. As a result, I carried a balance on the card for about a year, accruing about $100 in interest charges. A fraudster could have stolen my credit card information and used it to make purchases without me noticing. I might have missed a single payment by more than 30 days, and ended up with a negative mark on my credit reports for seven years. I could have neglected to set up auto-pay altogether, and ended up with an account in collections and several negative entries on my credit reports. I still use auto-pay and credit card account email alerts as a convenience. But these days, I check on all my accounts regularly — even the ones I don’t use — and take stock of all my recent transactions. I also avoid opening a new account unless I’m confident that I have the time to keep track of it. When I was new to credit cards, I didn’t realize that each type of credit card transaction — including purchases, cash advances or balance transfers — was billed at a different interest rate. I also didn’t know that certain credit card fees, such as foreign transaction fees, could be avoided. As a result, I broke two cardinal rules of credit cards while I was studying abroad in Europe in college: I used my credit card for cash withdrawals at foreign ATMs and I paid foreign transaction fees on every overseas transaction. Because those cash withdrawals counted as cash advances, they started accruing interest right away, with no grace period. I also had to pay a cash advance fee for withdrawing the money, in addition to the foreign transaction fees I was already paying. In total, all those overseas credit card transactions cost me hundreds of dollars in fees and interest payments — but I didn’t fully realize the damage until I saw my credit card statements. Looking back, I think the most painful part about that mistake was knowing how completely avoidable those interest rates and fees were. Had I read my card’s terms ahead of time, I would have used a credit card that didn’t charge foreign transaction fees for purchases while I was abroad. And rather than using a credit card to withdraw cash, I would have used my no-foreign-transaction-fee debit card at an in-network ATM. Since that trip, I’ve paid a lot more attention to my credit cards’ Schumer boxes, those charts that detail each card’s interest rates and fees. I’ve been especially careful about reading these terms when I’m thinking about doing something out of the ordinary, such as carrying a balance, making a balance transfer or purchasing something in a different country. Avoiding interest and fees on credit cards is easy enough, but you need to know how your cards bill certain transactions in the first place. Realizing my past errors is painful but necessary. It reminds me of a line from one of my favorite childhood movies, “The Lion King,” when Rafiki, the monkey and royal advisor, smacks Simba, the lion, over the head with a stick when Simba complains that he has to confront his past. And I’m learning. I’m getting better at making smarter financial decisions, asking for help when I need it and changing strategies when necessary. I’ve gotten better at knowing the terms of my cards, asking the right questions, and recognizing bad deals. My financial life is a work in progress, and I’m improving it one day at a time. The article Sean Talks Credit: What I Learned From the Credit Card Mistakes of My 20s originally appeared on NerdWallet.